Rubbermaid Food Container 3-Pack Just $23.99! Down From $52! 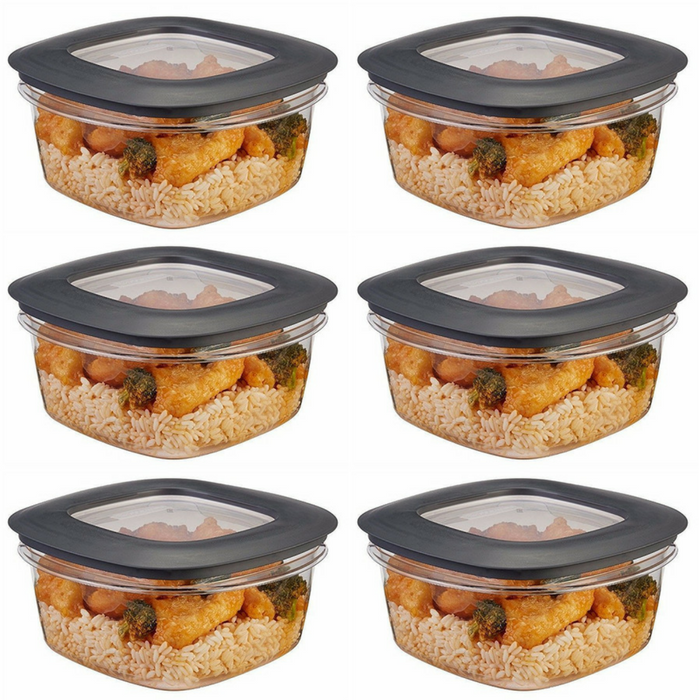 You are here: Home / Great Deals / Amazon Deals / Rubbermaid Food Container 3-Pack Just $23.99! Down From $52! Amazon is now offering this Rubbermaid Food Container 3-Pack for just $23.99 down from $52 PLUS FREE shipping with Amazon Prime or for orders $25 or more! Crystal clear and stain resistant, the Rubbermaid Premier 5 cup Food Storage Container keeps food fresh and stays looking beautiful. Made of shatterproof Tritan plastic, this food container is extra durable and has a unique lid design that minimizes trapped food and liquids so you can clean and dry more easily. Dome-shaped lids also maximize storage capacity and help prevent any spills when closed. Premier lids snap to bases and other lids, making it easier than ever to stack, store, and find what you’re looking for. Functional, durable and stylish, Premier food storage containers are great for storing and serving – even outdoors!